Come Diwali and people in India start making huge list of friends and relatives to whom they are going to send Diwali Gifts. This is because Diwali is the biggest, most celebrated and the largest gift giving festival in India. However, the challenge before most people is to select a gift that will help to strengthen relationships, develop friendly ties and leave a lasting impression. People always welcome receiving gifts and when it comes from their dear ones, it escalates their level of happiness. So infuse all your creativity skills while selecting gifts for your dear ones on Diwali. Likes, dislikes, age and many such other factors should be highly taken into account while choosing the present. Diwali gifts must be wrapped with your sentiments & emotions and should be mirage of your warm feelings towards the person. A gift which is artistic and useful at the same time is mostly appreciated on the occasion of Diwali. 'Distances can't parted away the relationships', this mantra holds its truthfulness in context of Diwali gifts also. So break all physical barriers and do not make distance an 'excuse' in reaching out to your dear ones with beautiful gifts. There are many online and offline delivery services available which share the warmth of festival with people you really care for. If you are giving the corporate Diwali gift then more care should be given while figuring out the most effective gift. Gift should be such that which conjures up the company's vision and therefore should be of superlative quality. 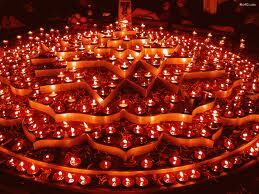 Diwali festival marks the onset of New Year in India therefore don't get settled down with the outdated gift items. Markets are flooded with the highly trendy and stylish gift items and all you need to just explore the best item out of them.